Two men have been charged with murder after a man was gunned down Tuesday night in the Wheaton Metro station parking garage. Eric Alexander Melgar, 20, was fatally shot in the garage at 11171 Georgia Ave. According to a preliminary investigation by the Montgomery County Police Department, Melgar was involved in a confrontation with Douglas Shannon Chase, 19, and Brent Deon Sanderson, 18, when Chase whipped out a handgun and opened fire on Melgar. The accused attackers then ran from the scene, leaving Melgar with multiple gunshot wounds, police said Wednesday afternoon in an update. Metro Transit Police and Montgomery County Police responded about 7:10 p.m. Tuesday to a report of a shooting and found the Silver Spring resident, a Metro spokeswoman said. Melgar was rushed to Suburban Hospital, where he was pronounced dead. 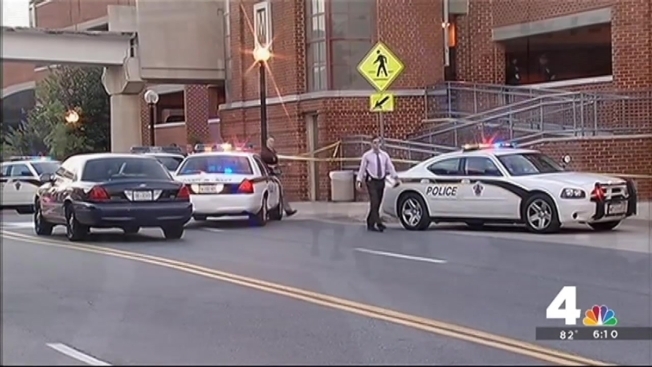 Two suspects are charged in the fatal shooting of a man at the Wheaton Metro parking garage, News4's Derrick Ward reports. 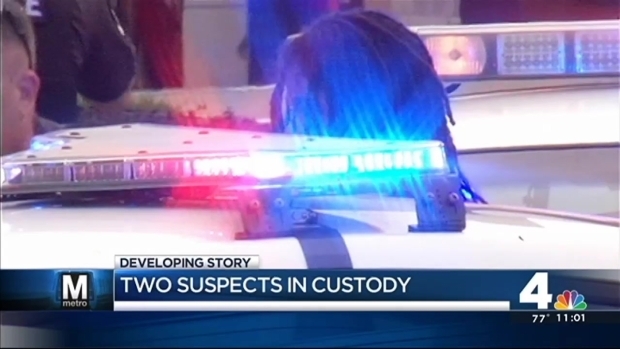 The pair was stopped by police nearby shortly after the shooting, police said and News4's Mark Segraves witnessed. Officers then found a .38 caliber handgun. Chase, of Northwest D.C., and Sanderson, of Rockville, were both charged with first-degree murder. Both Chase and Sanderson are being held without bond at the Montgomery County Detention Center. Police are still investigating the relationship between Melgar and his accused attackers. An adult man was fatally shot inside the Wheaton Metro center parking garage Tuesday night. News4's Mark Segraves reports. "We have no information about what was transpiring before or after, at this point in time," Lt. Jennifer McNeal said. Montgomery County Council Member Nancy Navarro said officials will work to make the area safer. "We have obviously invested quite a bit in insuring Wheaton is a safe place," she said. "We will get to the bottom of this." Red Line trains bypassed the Wheaton station for about 15 minutes after the shooting. Parking at the station remained closed as of 11 p.m. Tuesday. 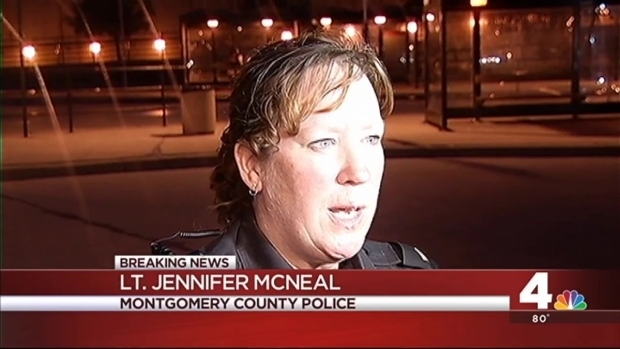 Anyone who witnessed the incident or has any information is asked to call Montgomery County Police at 240-773-5070. Callers can remain anonymous.